Chemical Consultants’ TS-305 is a screen wash that is a highly effective, fast drying, ready to use, stencil safe cleaner for the removal of screen printing inks. 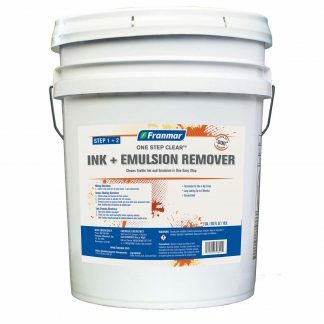 This product is designed for the removal of plastisol and UV inks when reclaiming your screen or for the removing the ink only and saving the screen.TS-305 is emulsion and capillary stencil safe. It will protect the fabric from deep stains or ghosting from the image print, which will make it much easier when complete reclamation of the screen is necessary. 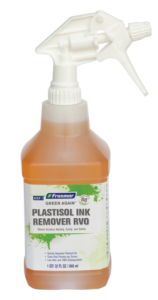 This product is an excellent cleaner for the removal of pallet or belt printer’s adhesive. TS-305can be re-circulated or applied manually using the following steps. 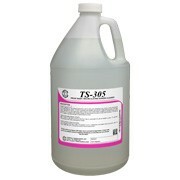 Apply TS-305 on both sides of screen and then wipe or squeegee off until all residue is gone. TS-305 works extremely well when cataloging the screen. Card excessive ink from the screen. 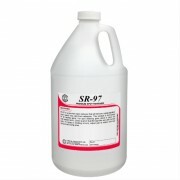 This product can be continuously re-circulated until product becomes too heavily soiled with solids. Used product may be filtered and re-used. *Dispose of in accordance with local, state and federal regulations. Check with your local sanitation district regarding limitations on inks that are to be rinsed into the drain.